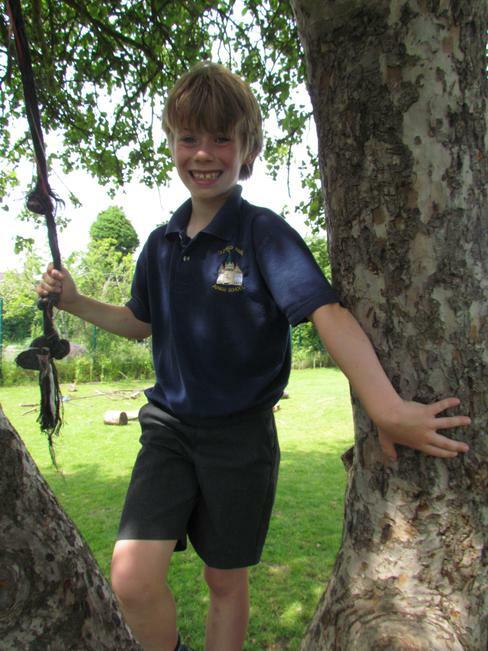 We expect all our children to wear our school uniform at all times as it creates a sense of identity and community while protecting them from social pressures to dress in a particular way. We are proud of our logo and wearing school uniform as it helps to reinforce a sense of pride in, and belonging to, Oldfield Park Junior School. Navy polo shirt with school logo. Navy sweatshirt or cardigan with school logo. 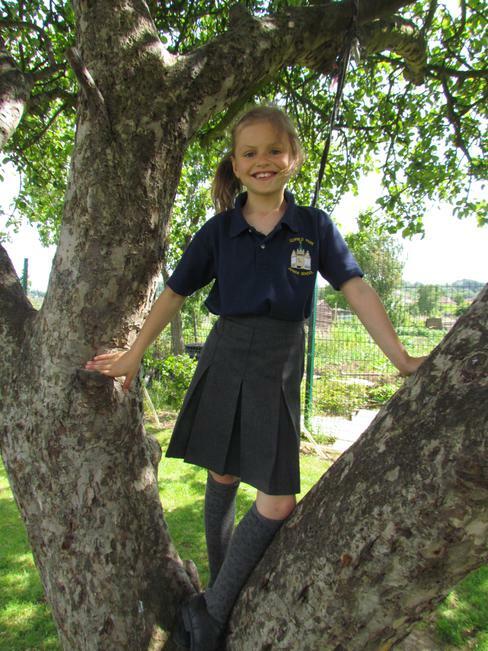 Grey or charcoal trousers and skirts or trousers for girls. Black leather shoes (no trainers and winter boots must be changed before class). Girls may wear a blue check dress. 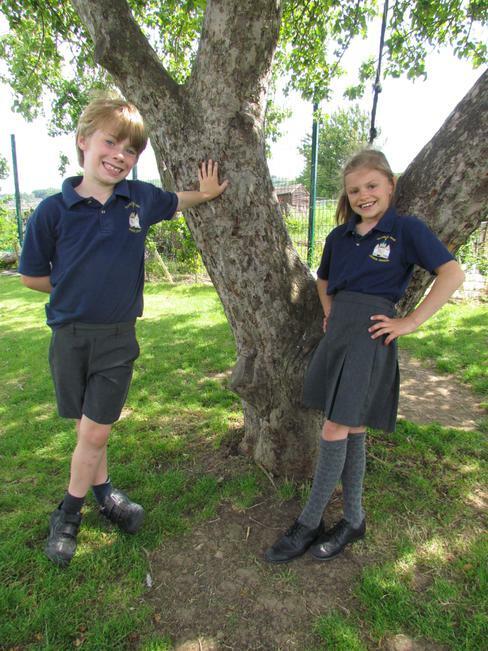 Boys and girls may wear tailored grey shorts. For health and safety reasons all children change for Physical Education. 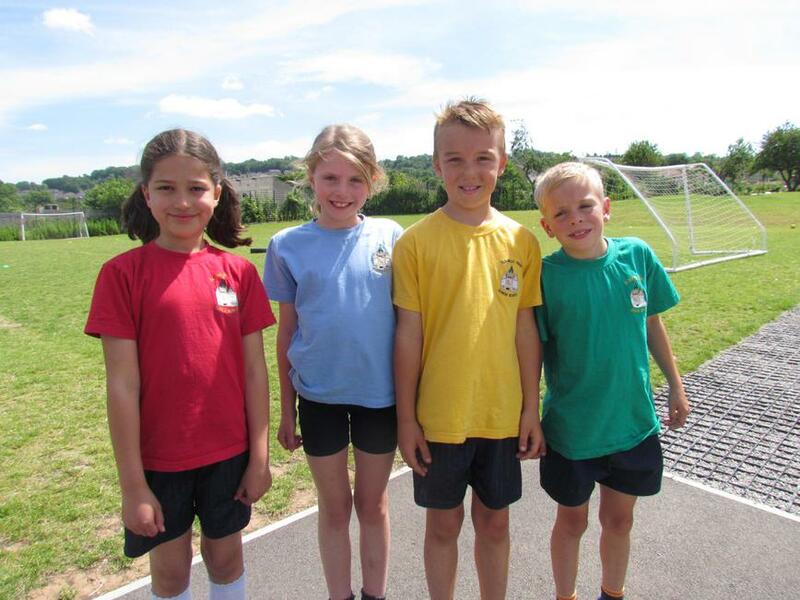 The PE uniform consists of navy or black shorts and a T-Shirt, the colour of which depends on the House they are in. New children to Oldfield Park Junior School are allocated to one of four houses: Allen (red), Brunel (green), Minerva (yellow) and Nash (blue). Each child also needs a PE bag. Children are expected to wear a coat during the winter months as outdoor play is valued all year round. Jewellery should not be worn in school for safety reasons. Children with pierced ears should wear studs. Long hair should be tied back at all times. Children’s haircuts should be appropriate with no emblems or patterns shaved at the side or into the back of children’s heads. All items of clothing must be named. The same applies to anything else that is brought into school for whatever reason. There is a lost property box in the Play Centre.